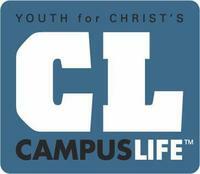 CAMPUS LIFE AND CAMPUS LIFE "M"
Sponsored and managed by Long Island Youth for Christ, Campus Life is one of the Cooperative Community Ministries of the Lutheran Church of Our Savior, focused on our younger kids and teenagers in grades 6-12. It was brought to Port Washington by parents within our congregation who saw the need to provide our children with a safe and healthy option to today’s less controlled environments. The program is open to all young people in the community, regardless of their background or religious beliefs, and provides them with a safe place to meet friends, have some fun, talk about things that you are going through and see how God fits into it all. It offers an atmosphere of positive relationships and spiritual discovery without confrontation or social pressure. The goal of Campus Life is to help our youth in establishing healthy and valuable relationships with their peers and adults through creative programs to facilitate these kids make good choices, establish a solid foundation for life while encouraging a balanced life, mentally, physically, socially and spiritually. Campus Life is divided into two groups: Campus Life and Campus Life M. Campus Life is designed for high school kids from 9th through 12th grade. They meet at the Church in the undercroft each Thursday evenings from 7:30 to 9:00 PM. Campus Life M is for kids in the 6th through 8th grades, and meets every Friday from 7:30 to 9:00 PM. The Campus Life program has been available at the Lutheran Church since 2000, meeting at the church weekly and sponsoring many trips, events and shared experiences throughout the year. For more information, please contact the Youth for Christ office for more information at 1-631-385-8333 or go to www.liyfc.org.